Computer Audio – the inevitable trend of audio playback. 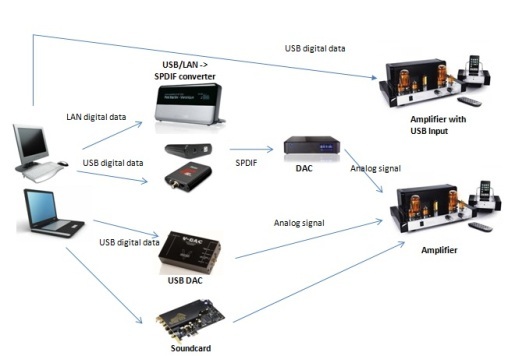 With just half a year passed in 2011, there have been so many HIFI products with USB integrated, be it in DAC, CD player, media player, receivers and/or amplifiers. These are made with 1 thing in mind – PC audio playback! For those that have the foresight, they would have come up with such products much earlier, in 2010. PC audio playback has become a trend, just like the replacement of cassette tapes by CDs. With this, USB DAC and USB to SPDIF converters, USB DAC, digital streamer have become an equipment that is on the must buy list for audiophiles. How does PC and audio playback link together? How are these gadgets being used? How do you choose one? Where are the music source files coming from? There are just so many questions to this. So, before we dump, or waste more money into this area, let’s do some homework! Above is the data flow for a computer audio system. Of course, there are some other ways of connections but above is the most common / basic way of doing so. To playback with computer, music must first be stored in digital format, usually in computer hard disc, flash drives, memory cards and etc. With the storage price getting cheaper and cheaper, things have become convenient since a 2TB hard disk can store ~3000-4000 CDs in uncompressed format, for example the WAV format that uses about 40-50MB per song. Imagine that! All your CD collections fit into 1 single HDD! For such playback, iTunes, Foobar2000, MediaMonkey, eLyric and etc can be used, and most of them are free! For most users, they’re already more than sufficient. 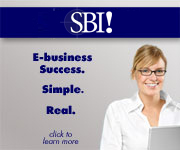 If users have more requirements, there is some paid playback software that is quite comprehensive in function. Some software offers the flexibility of storage management where the collection is neatly organized and stored. Another advantage of digitizing the music albums is – backup! Hard discs are inexpensive nowadays. Even the blank CD, DVD and BD aren’t expensive either. Users do not have to worry about scratched discs, mould, pets, kids and etc. Setup a RAID system and user can backup while storing the digitized music. One of the usefully software to use is the Exact Audio Copy. On top of that, with high resolution audio (24 bit / 192 kHz, or 36 bit / 384 kHz) gaining popularity, USD Audio / Computer audio is the trend now! So what are you waiting for? Check out a huge inventory of DACs, streamers and PC audio related gadgets in DIY Concept Store!. What kinds of computers are good for such usage? I’m afraid all the standard personal computers will fail this test. Most of them ARE computers and are not meant for “audiophile” music playback purposes. There are expansions slots everywhere, switch mode power supplies are used, cables fly everywhere, and it is a mess in there! Of course, there are dedicated PC / gears used for digital audio playback, for example the Meridian Sooloos, or the Bryston BDP-1, Olive 06HD Music Server, Linn Majik DSI, and etc! They will not be cheap though! Another way to go around it is to get an audiophile sound card just for HIFI use. There are quite a number of audiophile soundcards in the market already. Apart from that, the hard disc used is another major component itself. Hard disc is mechanical + electronics combined. Inevitably, there will be errors / accuracy issues and such with mechanical devices are involved. There are comments that solid state hard disc is the way to go on computer audio playback. SSD or solid state discs are getting inexpensive by the day. One economical ways is one can store their favorite music into a medium size SSD and keep the rest in the standard hard disc drives. Now isn’t this interesting? I’m expecting to see a U$50,000-100,000 notebook or desktop being sold in near future. Let’s bet on it! I’m going to buy more Intel or PC manufacturer stocks from now onwards! All right, this concludes the introduction to computer audio playback. Stay tuned for more computer audio playback articles! Computer Audio Playback related articles! What do you need for computer audio playback? USB DAC!! !